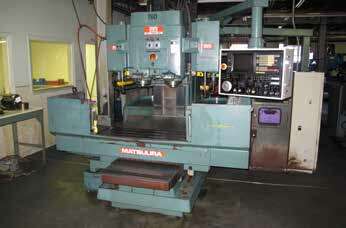 AUCTION DATE: THURSDAY, NOVEMBER 14, 2013 – STARTING @ 11:00 A.M.
CNC MACHINE TOOLS, SUPPORT, INSPECTION TOOLING. Bridgeport Vertical Milling Machine w/ Power Feed, 2hp, Var Speed, Chrome ways. Over 15 Kurt vises, tapping heads, carbide insert cutters, tool holders, and etc. Grinding fixtures, dressers, and etc. Mitutoyo mic sets, calipers, tooling and etc. Electric arc metal disintegrator 2SA . Sunnen MBB 1660 and MBB 1650 Honing machines with gage fixtures and mandrels. Vises, Deburring Machines, Rotary indexers, End Mills, Drills, Reamers, Carbide tooling.